Time for a new tattoo? 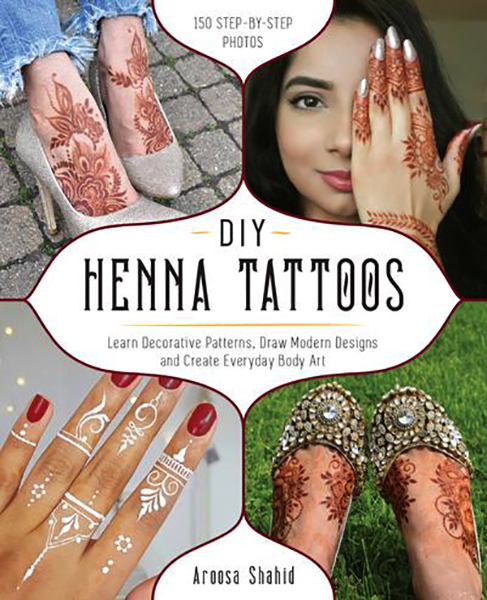 The easy-to-follow, step-by-step instructions and gorgeous photo graphs in DIY Henna Tattoos make learning henna art simple and fun. In no time, you will master the basic techniques and designs, including: - Flowers - Leaves - Swirls - Vines - Paisleys - Netting- Petals - Mandalas - Lines and dots Whether you want to sport something quick and simple or decorate a large area, you can easily choose how much of your skin to adorn with these stylish motifs. And because the tattoo is from henna, next month you get to try a new and different look!